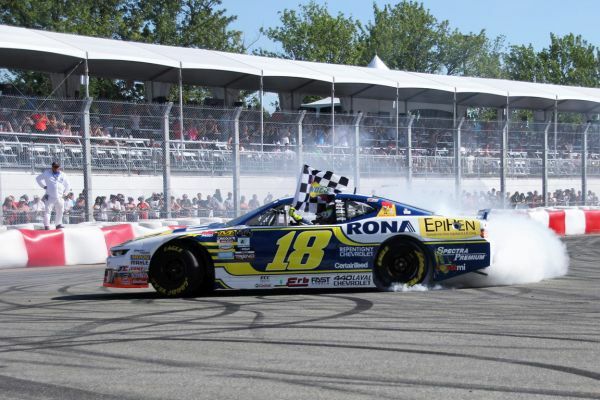 13.08.2018: On Sunday, and for the second year in a row, racecar driver Alex Tagliani won the Grand Prix de Trois-Rivières (GP3R), round 8 of the 2018 NASCAR Pinty's Series. On Sunday, and for the second year in a row, racecar driver Alex Tagliani won the Grand Prix de Trois-Rivières (GP3R), round 8 of the 2018 NASCAR Pinty's Series. Starting fourth on the grid for the 50-lap race (123 kilometres) around the 11-turn, 2.46-kilometre urban track, Tagliani was in the hunt for top honours throughout the battle. The Canadian driver moved into second position on lap 8 before taking over the lead on lap 12 ahead of his Racing 22 teammate Marc-Antoine Camirand who started from the pole. Unfortunately, Tagliani was pushed back to second place during a restart on that lap following a full course caution. 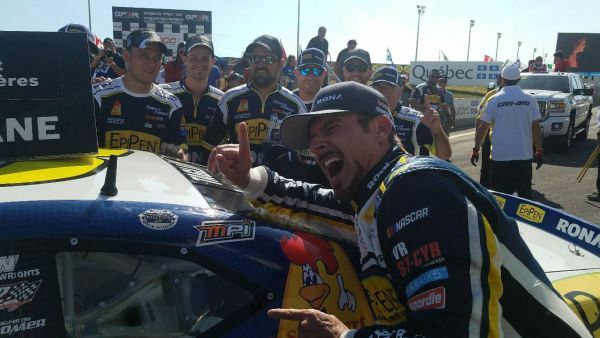 On lap 38 and the sixth green flag restart, Tagliani pushed his EpiPen/RONA/St Hubert Chevrolet Camaro past Camirand's Chevrolet in the last corner on his way to his first win of the 2018 season, his seventh in the NASCAR Canada series. Point's leader LP Dumoulin finished second ahead of Alex Labbé, last year's champion who started last for this race. Jean-François Dumoulin and Camirand round up the top five. D.J. Kennington finished sixth. "This was quite a race and I really wanted this win," said Alex Tagliani. "Following Saturday's qualifying, I was pretty much down after missing the pole when I made a driving mistake on my last lap because our EpiPen-RONA-St Hubert Chevrolet Camaro was so quick. Come race time, I did not know when the opportunity to take the lead would occur. In the first moments of the race, it was an all-out war on the track and there were a lot of contacts. 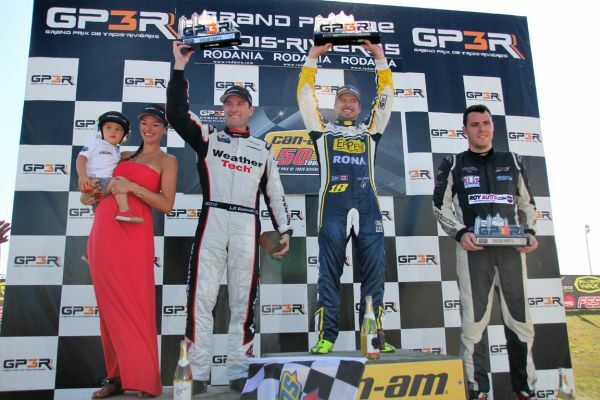 Then, I had an opportunity to move into second place behind race leader Marc-Antoine Camirand. "I finally had the chance to take over the race lead and nobody was going to take that away from me. This was not an easy race to win because it was very competitive. I am very proud of the hard work put out by team 22 Racing. We are a dominating force at this time with a fourth podium finish in our last six races and we are grinding away on the points leader. This win comes at an opportune moment of the season. With five races to go, we are going all out to win this title."